“This is going to be one of those moments where all the theories don’t apply,” said John Yasuda, a faculty member at IU’s School of Global and International Studies, as he and three other panelists sought to predict the future in Asia. 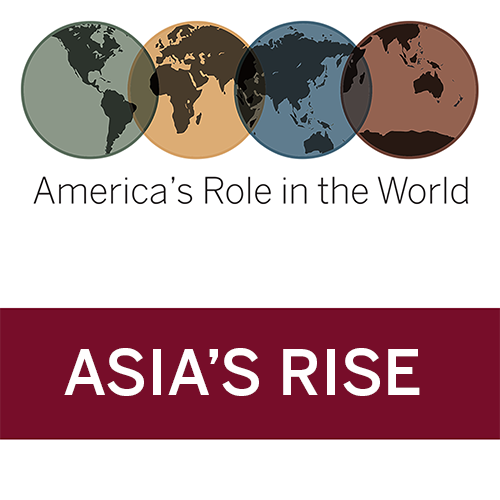 The panel, titled “Asia’s Rise,” was part of the third annual America’s Role in the World conference convened in Bloomington by SGIS on March 28 and 29. Although Yasuda’s comment could apply to the entire region, the China specialist was talking in particular about the Chinese legislature’s recent abolition of term limits, which permits President Xi Jinping to rule indefinitely. However, “it would be inaccurate to characterize this as a moment of strength,” Yasuda cautioned. “I really see this as a crisis moment for China,” he explained, citing the many pressing issues the country must face, involving, among others, the environment, its debt problem, and labor unrest. Moderated by SGIS professor David Bosco, the panelists considered an array of other developments in Asia, including the prospect of U.S.- North Korean talks and the Asian role in world trade. Speaking of North Korea, panelist Mark Minton, a former U.S. ambassador to Mongolia, noted that the situation is changing so quickly, “it’s a little like trying to pin a living, flying butterfly to your collection board.” Minton, now a professor of practice at SGIS, played a leading role in U.S./Asia relations during his three decades of foreign service. Bosco asked the panelists to consider whether China will replace the U.S. as the principal defender of the international trading system, given the current American administration’s abandonment of the Trans-Pacific Partnership agreement and its preference for bilateral, rather than multilateral, trade agreements.